Quite a tongue twister to wrap your lips around when ordering, Strange Stange is a German kolsch-style ale that’s become a gateway for many drinkers. The name refers to the tall, slender stange glass that such beers are traditionally served in around kolsch's spiritual home of Cologne. Bright Tank’s iteration is hardly strange at all. The sweet cereal malt, light citrus (achieved via noble hops) and clean length are aptly redolent of its Germanic origins. 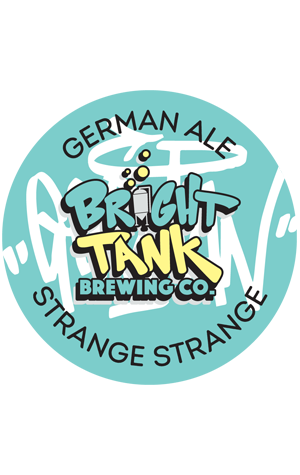 Perhaps the presumed oddity is when it’s compared to its more hop and yeast driven siblings at Bright Tank; either way, there’s good reason for Strange Stange’s refreshing inclusion in the brewpub's lineup.